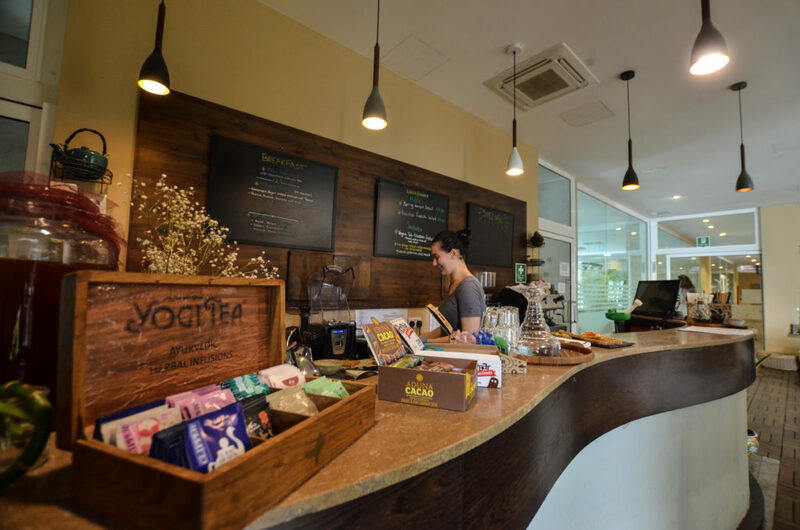 As we sat in the juice bar of Sanya and absorbed the delicious atmosphere, it was apparent that people happily float around this holistic hub with not only a sense of calm, but also one of engagement. The soothing reception lounge and juice bar area offers a welcoming space where you can connect with others or simply yourself, whilst enjoying primarily organic, healthy plant-based food. This is a healing hub with a key focus on overall wellbeing, where delicious seasonal and nutritional foods are combined with access to yoga and meditation classes, an Eco Spa and gym. It is very clear that conscious choices are made here in Sanya from the management team as our juices are served with bamboo straws, water refills are available for those who bring their own water bottles, and we can see in the internal yard the organic microgreens being grown inhouse. Larissa the front of house manager talks us through the inhouse package reduction measures which have been implemented from utilizing reusable crates for produce deliveries, ensuring all invoicing and receipts are paperless, to making their own almond milk behind the scenes. As I start to mentally flick through the week’s schedule ahead and identify slots in which I could return to this energizing retreat space, Larissa advised us that the internal team often commence their staff meetings with short meditations and sharing circles. It is a beautiful thing for a group of individuals with shared interests in different facets of well-being, to approach the management of such a space in this way. This space is warm and transparent. With their mission statement being ‘an invitation to an experience of life that is nourishing, authentic and always challenging us to new depths of living’ it is clear Sanya is cultivating healthy sustainable lifestyles, not just a healthy lunch. 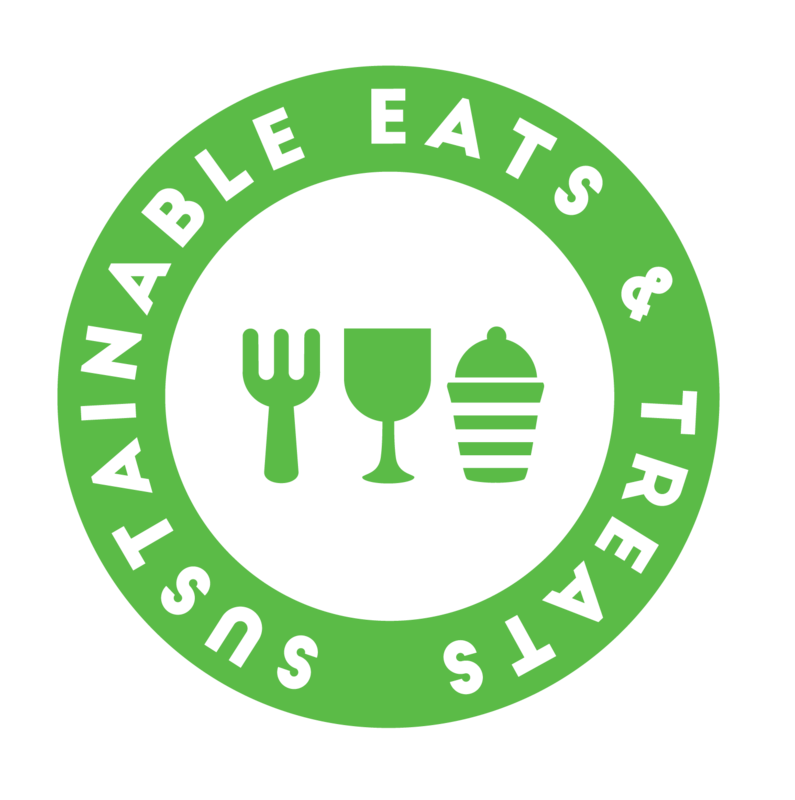 It is therefore our absolute pleasure to launch them as our second Gold member of Sustainable Eats &Treats! Need eco straws to get certified?